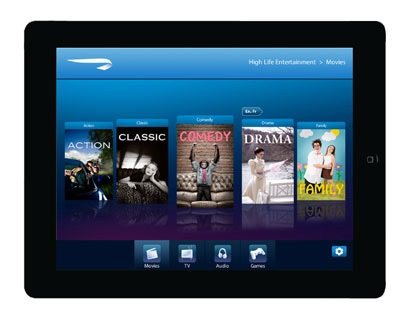 OpenSkies offers a new range of entertainment on iPad. The airline that specializes in routes between Paris and New York is offering the perfect entertainment by distributing iPads to all passengers regardless of their class of travel. This offer now includes a selection of accessible programs thanks to a new bilingual interface that is more intuitive, fluid and not to mention, faster. From the first use of their iPad, OpenSkies passengers have the opportunity to choose their preferred navigation language and select which programs they would most like to use. Every month, the supply of audio and video programs will be renewed for the pleasure of frequent travelers. Recent films, television series and entertainment dedicated to children will also be available on all flights.